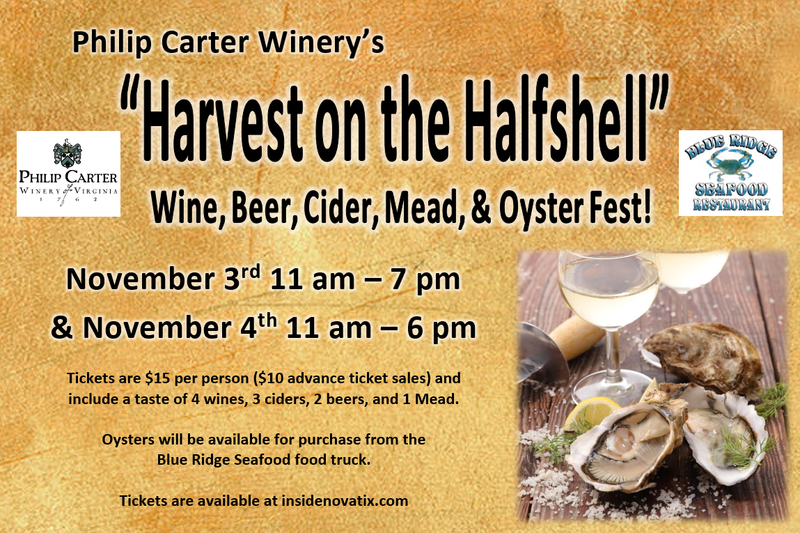 InsideNoVaTix | The 11th Annual Harvest on the Half Shell: Wine, Beer, Cider & Mead Oyster Roast. 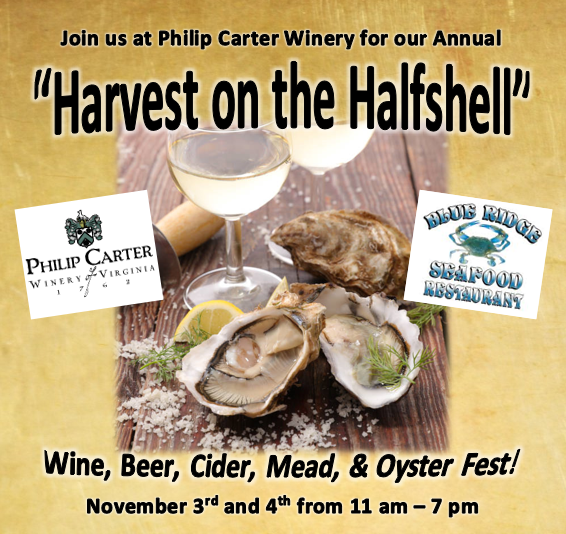 The 11th Annual Harvest on the Half Shell: Wine, Beer, Cider & Mead Oyster Roast. 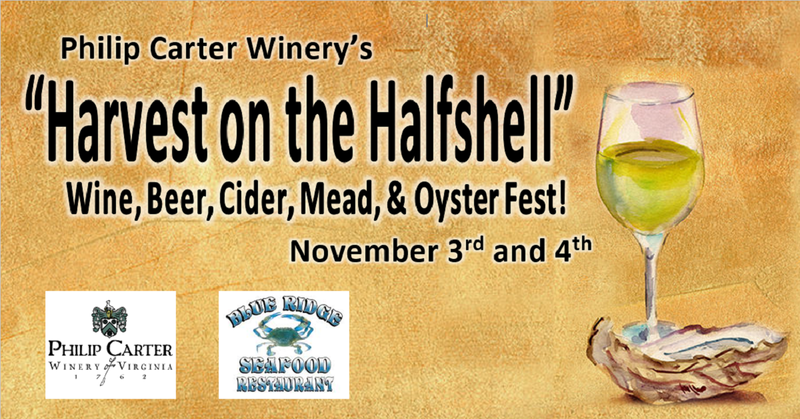 Wine, Beer, Cider & Mead Oyster Roast. Tickets are $10 per person in advance ($15 at the event) and include a taste of 4 wines, 3 ciders, 2 beers, and one mead. Oysters available for purchase from the Blue Ridge Seafood food truck all weekend. 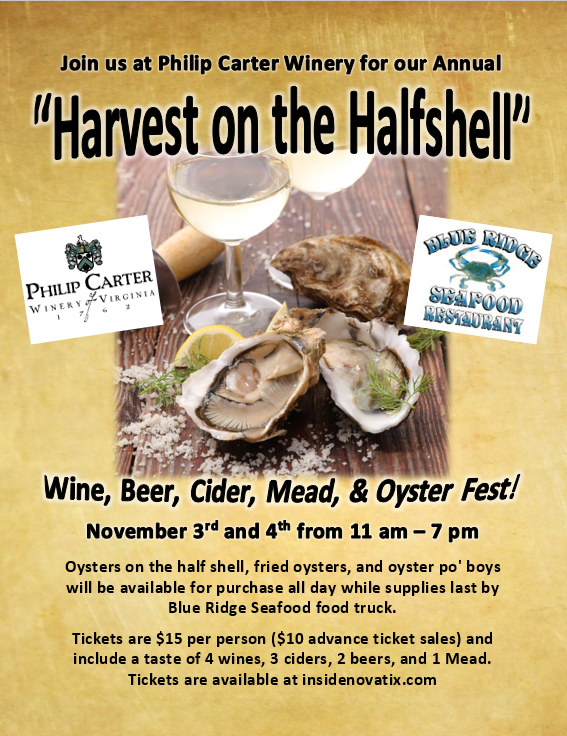 Join us for the weekend event of the season and the start of Virginia Oyster Month! 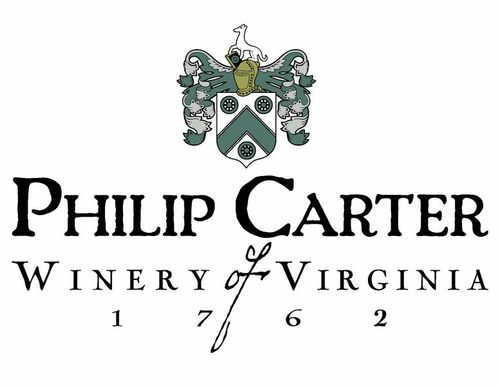 We invite you to be part of an annual Virginia tradition at Philip Carter Winery. 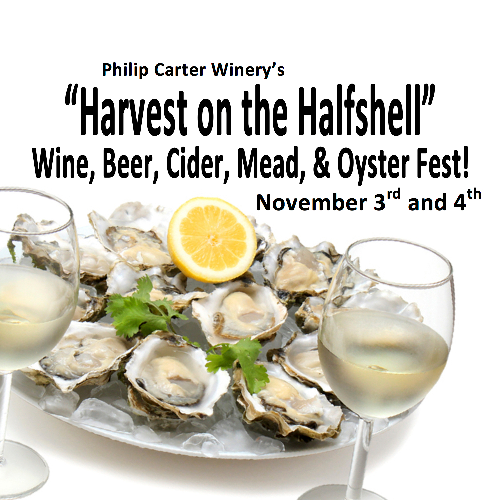 Chesapeake Bay oysters, award-winning wines, beers, ciders and mead! Tickets are $10 per person in advance ($15 at the event) and include a taste of 4 wines, 3 ciders, 2 beers, and one mead provided by Philip Carter Winery, Wild Hare Cidery, 2 Silos Brewery, and Misty Mountain Meadworks. Oysters on the half shell, fried oysters, and oyster po’ boy will be available for purchase all weekend while supplies last by Blue Ridge Seafood food truck. Live music and yard games in the vineyard. We look forward to having you!